The Carpigiani Corporation of America is recognized as the superior provider of frozen dessert equipment, educational opportunities, and professional support throughout North America. Carpigiani-USA is dedicated to providing the highest quality, most reliable and durable equipment in the industry. 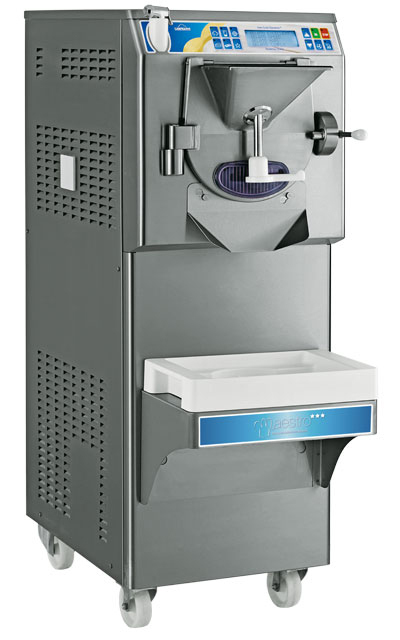 Whether you are interested in Soft Serve, Gelato, Sorbet, Ice Cream, Whipped Cream, specialty equipment for Pastry Preparation, or Granita; Carpigiani has a tailored solution just for you. Carpigiani is the single source for all your frozen dessert needs. With Maestro you can increase productivity, while saving energy. You can transform your ice cream parlor into a “Top-quality Gelato and Pastisserie Establishment.” Broaden the range of your products and expand your clientele. Increase profits with just one machine. The Hot-Cold-Dynamic® system adjusts the cold based on the quantity and quality of the product in progress. Your Gelato, granitas and sorbets will be prepared to perfection. sticking for custards, sauces and chocolate pralines of the highest quality.